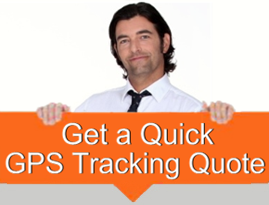 Once you have GPS Tracking devices operational in your business vehicles, there are a number of benefits that you can offer to your clients. For example, if you are in a trade in which you deliver goods, you will always know where your delivery vehicle is in the event a client calls to ask when they can expect their delivery. With the software immediately on hand on your computer, laptop, tablet or cellphone, you can check to find the vehicles location and advise the client of same. No need to make the call to the driver and hold him up from his duties. Apart from good service, your clients are impressed with your efficiency. Also, your vehicles can be monitored and auto reminders sent for Warrant and Registration dates together with maintenance reminders. In a busy company, these matters are very often overlooked. With our software doing the monitoring of each vehicles status, your vehicles will never be off the road again for such minor, yet important, matters. Protect your valuable asset. Vehicles, boats, caravans, motor homes, etc. It is an unfortunate fact that the rate of asset theft is on the increase. But with one of our GPS Tracking transceivers discreetly fitted to the item, you will know virtually immediately that something is amiss in the event any unauthorised activity takes place. You will know where your asset is in real time and you will be able to track where it has been and when. All this information virtually ensures a fast return of your asset(s) and assists the Police with convictions. Additionally, there are many insurance companies who will be happy to offer discounts on annual premiums for items that have a reliable tracking system that cannot be removed or deactivated without you receiving a warning (that is if they look for it and IF they can find it).